The Modual process, initially based on various methodologies taken from the digital creative industries, has been developed over the last five years with the intention to bring a wide variety of students from across all UAL’s colleges together to discover and then collaborate on producing “start-up” social enterprises that they care about. 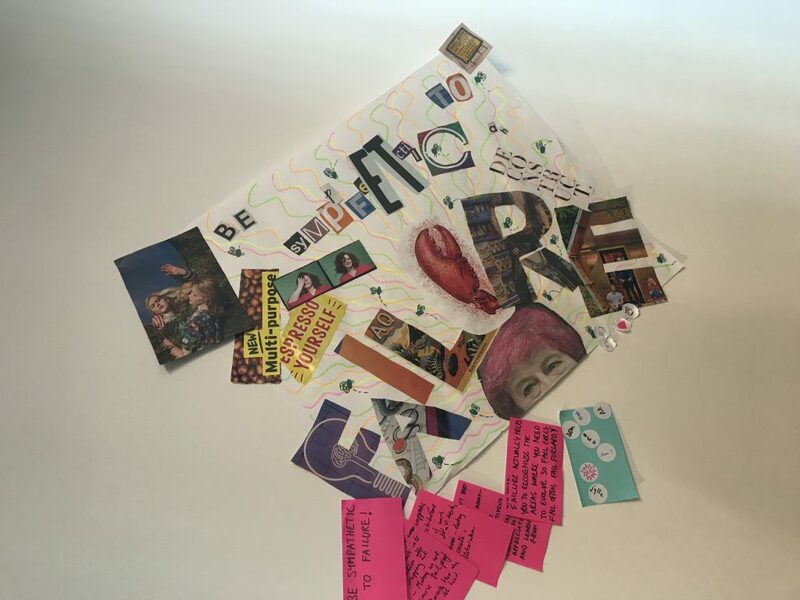 Last year we initiated the first workshop for UAL staff and this year the introduction of a further production phase and the potential of funding for final projects has created a more powerful container for staff to explore their creativity and passion within. 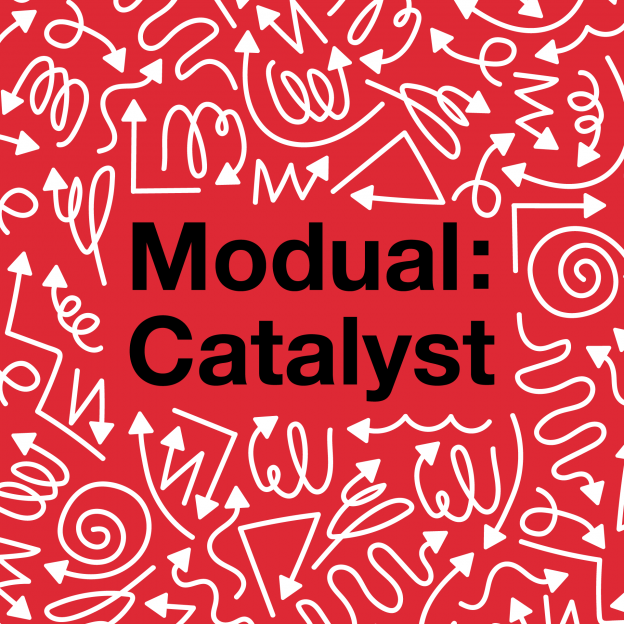 Representing all 6 colleges, there are just over 20 staff members and 8 current students or recent graduates taking part in this year’s Modual Catalyst. There are course leaders, lecturers and technicians, as well as staff in academic development and both university and student services. We were posed the question: with an unlimited budget, what would we put in our dream art school? Over the course of the first three days, participants suggested several hundred ideas and by the end of the third day, we had six teams are moving forward to develop six ideas and will pitch them back at the Design Museum on Wednesday 1 May. The day began with Fred introducing the two intentions for Modual Catalyst. The first intention was to inspire, explore and develop new possibilities for arts education in our post-digital age. This intention was evident in each activity that pushed us to expand our minds to come up with some truly interesting ideas for our limitless budget art school. The second was to further empower attendees as digital practitioners. 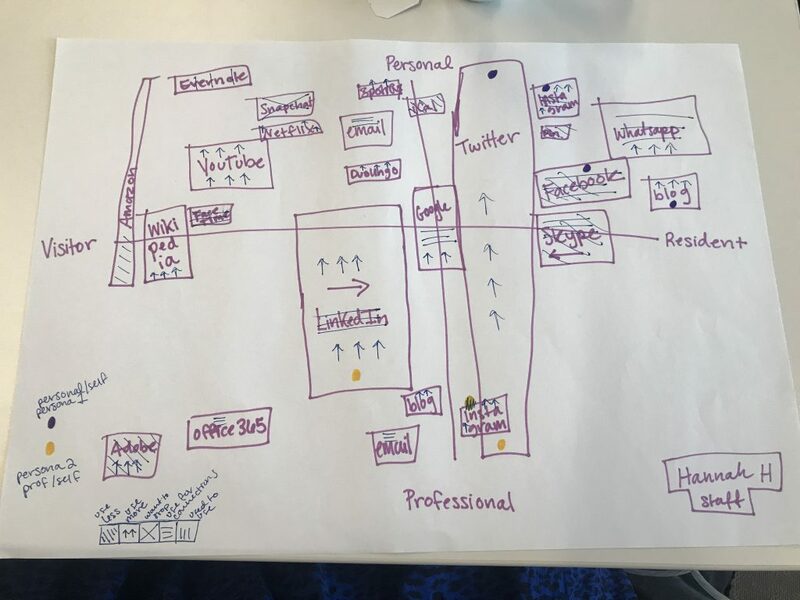 While not all attendees work exclusively in digital spaces or using digital mediums, we all use digital in some form to teach, communicate and research. David led a workshop where we examined our individual use of digital platforms through his Visitors and Residents mapping model. A visitor is an individual who discovers a piece of information online but leaves no social trace of it online. Being in resident mode is about social presence and visibility. Each person’s map will look different based on what platforms they use and how they use them. Throughout the day, we participated in several activities where we pitched ideas, gave each other feedback, explored our passion for something and question the ‘why’ of it all. Our homework was to brainstorm as many ideas as possible. We worked digitally all day using the apps Fuze and Slack to connect with people in our pods (small groups) and with the entire ModCat group in the main ‘lecture hall’ room. 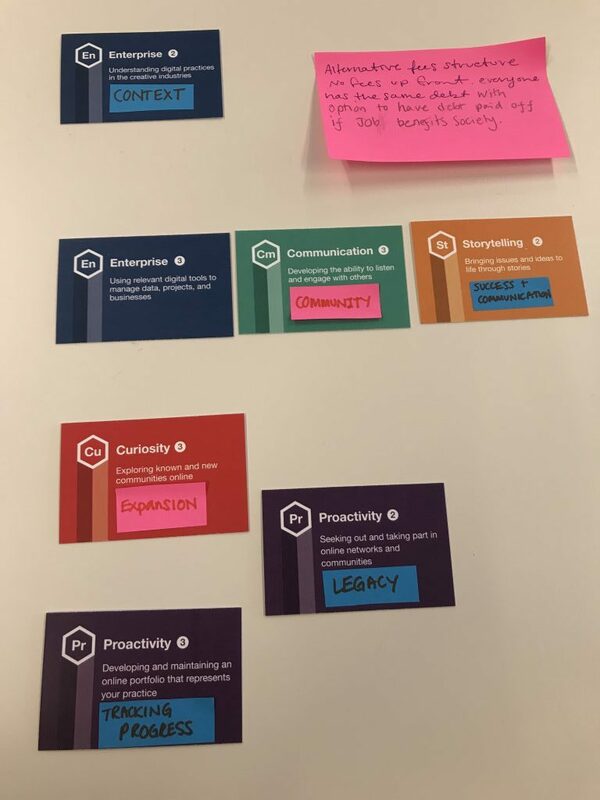 In one session with our pods, we went through our ideas putting on four different critical hats borrowed from Edward De Bono’s ‘Six Thinking Hats’. We examined some of the more popular ideas in each pod by putting on each hat and offering our criticism through certain statements. 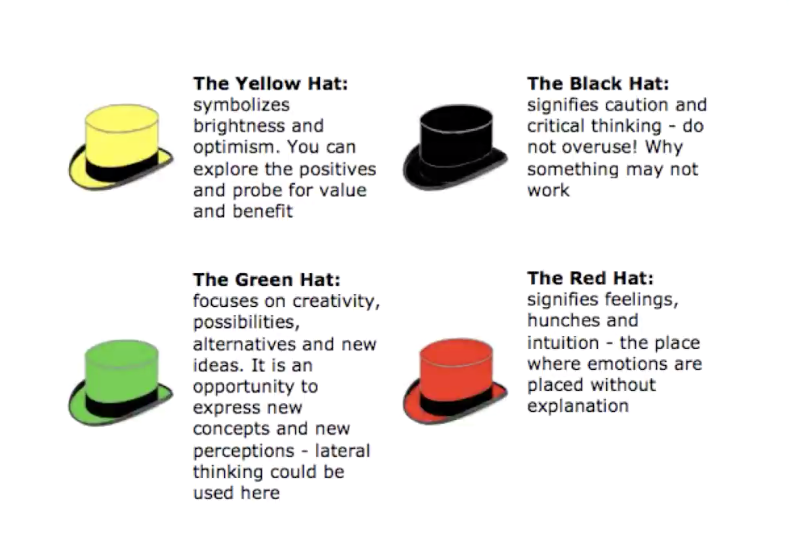 The Green Hat focuses on creativity, possibilities, alternatives and new ideas. This is where we pushed each idea further by asking: What if…. We ended the day with a session led by UAL Visiting Fellow Bonnie Stewart (who also curated the Teaching Complexity series). Bonnie gave an enriching and thought-provoking lecture on abundance and what it means to teach in a time of digital connection. You can view the recording here and the slides here. We returned to the Design Museum, digital experience in hand ready to narrow down all the ideas to determine which ones would move forward into the development phase. We joined together with our pods and in pairs we explored one of our ideas we identified the day prior. 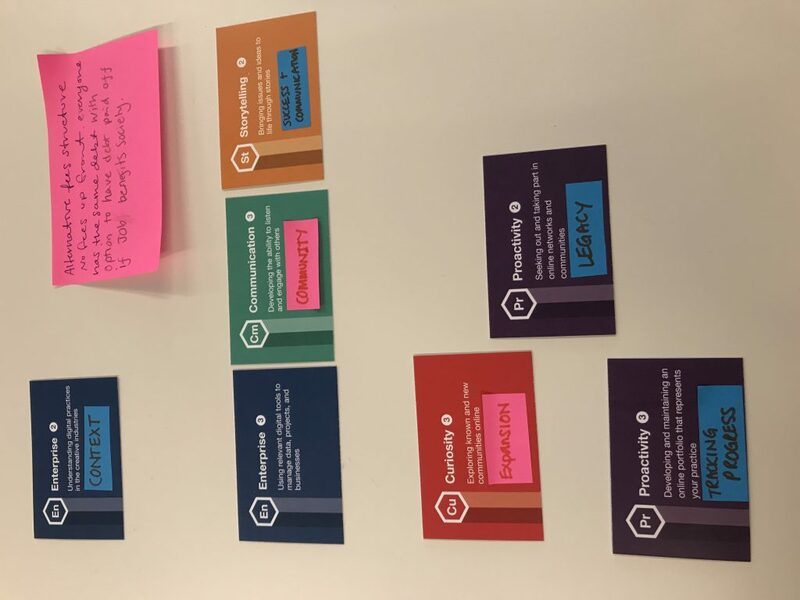 David led a session where we explored our ideas using the Digital Creative Attributes Framework as a lens to expand each idea. By using the attributes and creating a spectrum of which ones we could categorize as ‘less relevant’ or the ones we would like to incorporate into the idea, we could take the idea and apply it to what our art school would look like in practice. We then made mood boards for each idea and placed them around the room. Each pair presented their idea using the visuals and the DCAF elements to the room giving a more detailed perspective on the idea. 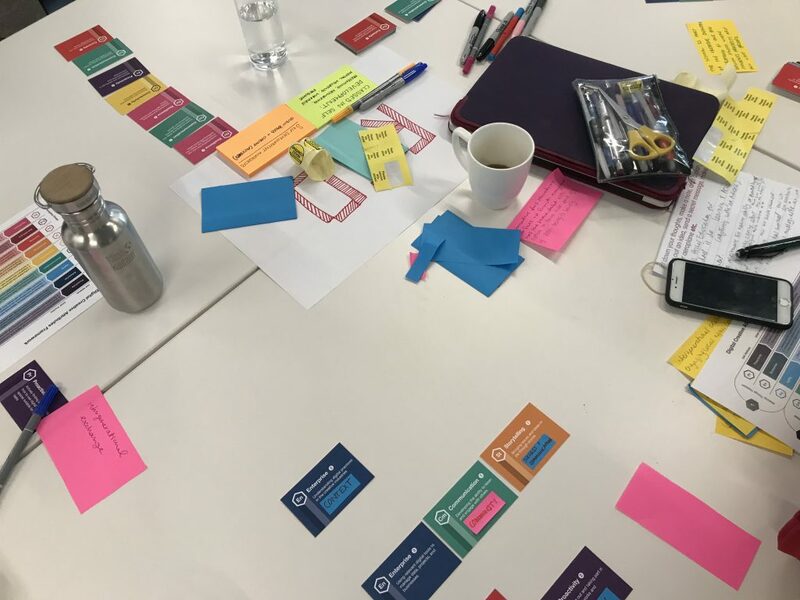 After each presentation, we all went around the room individually and put stickers on the ones we would actually want to work on and through a chaotic and ruthless yet effective voting process, we ended up with six projects moving on to development. A community art bus. A roaming bus the brings art classes to communities for people who could not otherwise access them. A school with no ‘walls’. A school wherein the students own the space and can make use of the walls as a canvas for their work. A zero-waste school. Determining what would a zero-waste school look like if all waste products had to be used in the creative process. Moving teaching outside the classroom. Incorporating what is outside the classroom in the learning journey. This could be nature, but it is more about workplace and professional skills. Each team is now deep in the development process of each idea. Some of have remained true to the concept above and some have found out that their idea has evolved into something else entirely. 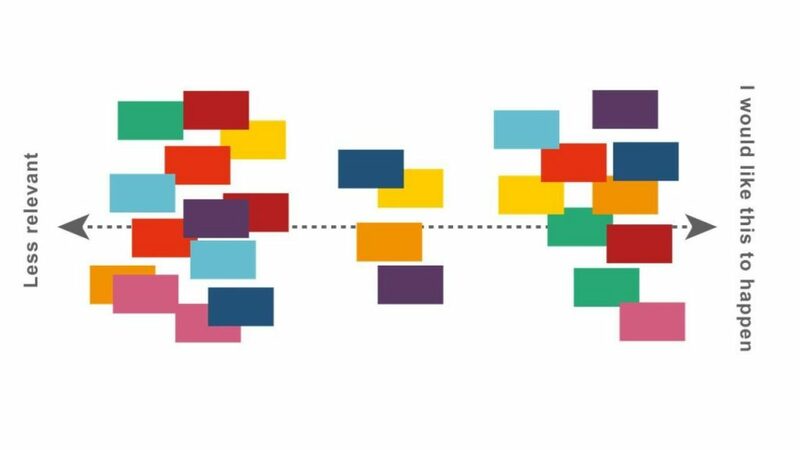 Join us on Wednesday 1 May at the Design Museum for our pitch event. You will be able to hear the complete pitch, see our videos and ask team members about the creative process. If you are unable to join us in person, be on the lookout for the follow up post here on the Exchange blog.